2 years ago, my sister had the first child of the family. 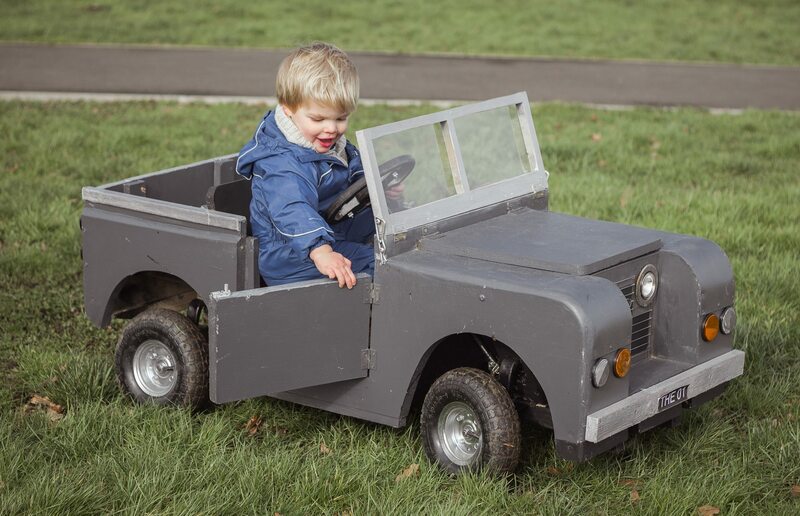 In my dad’s excitement, he built a mini Land Rover for him. It took him about a year, to find the time and parts as well, to put this beast together. 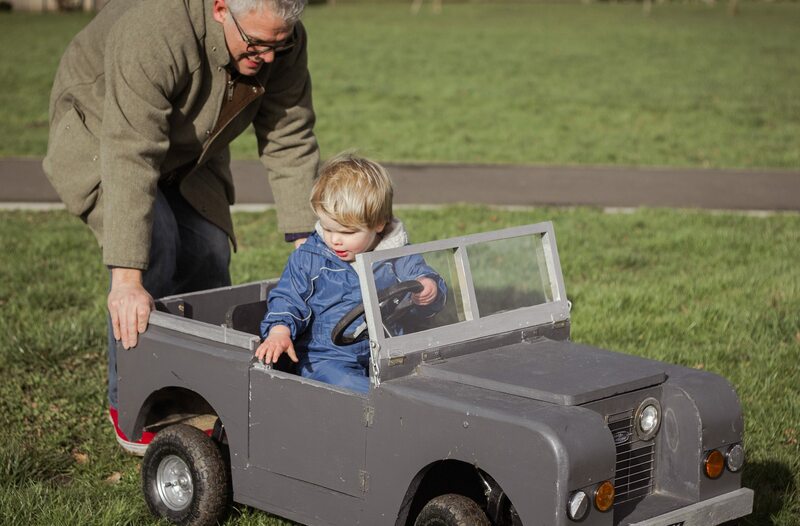 He finally finished it the other day and the little one took it for a test drive to the park. I think my dad wants to add a motor to the ride so he doesn’t have to keep pushing it. The backdoor boot opens as well as the side doors. The windshield has clear perspex for the window and it even folds down onto the bonnet. Finally, the bonnet even opens up!